The noise a cell door makes as it locks is one of the most gut-wrenching sounds. It’s the sound of lost freedom, and possibly a lost job, and a forfeited family. Panic sets in. You’ll be stuck in jail for a while. A few hours if you are lucky. The court will set a bail amount (unless they have a good reason not to). This money held by the court until you show up for trial. Come up with this amount and you walk free. This is extra time to prepare your case, go to work and hug your family before you must appear in court. 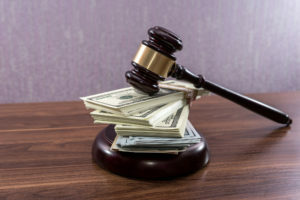 Unless you happen to have a whole lot of cash to give the court, you need a trustworthy bail bondsman to get you out. Why Do I Need a Bail Bondsman? If the court has set a bail amount, you have two options. You may pay the amount and walk free until your court date or you may sit in jail until then. You pay your bail by surrendering cash immediately to the court. If you and your family have cash available, be prepared to prove all the funds were legally obtained. As this amount can range from $20,000 to $5,000,000 in California, the burden of proof can take some time. If there is any suspicion that the money comes from suspicious sources, the bail can be rejected. Even if you have cash in hand, you may want to use a bail agent to walk you through the process. Using a bail bondsman also means that the money will not require close scrutiny. Choose your bail bondsman carefully. The bond company is ultimately responsible for you showing up to court. What If I don’t have $20,000 in Cash Sitting Around? The other cash payment option is to post a bond through a bail bonds agent. In this case, you or your family will pay no more than 10% of the bail amount to the agent. Your bail bondsman will then guarantee the court you will return for trial and secure your release from jail. The bail bondsman is like an insurance agent. The fee you pay to him is for assessing the risk and taking the chances with the court that you will show up for trial. How Fast Can I Get Out? The most experienced bail bondsmen have long experience with the local jails. They know the system and the people and can get you out in a matter of hours after the bail amount is set. Collateral is something you offer to forfeit (cash, property or something of value) in case the defendant fails to show up in court. You or your family and friends enter into a contract with the bail agent. You all promise that you, the defendant, will make all court appearances until the court legally declares that the case is done. You can expect a trustworthy bail agent to walk you through the whole process with professional courtesy and compassion. The process of getting a bond posted sounds long and complicated, but you will have someone helping you the whole way. Give your agent the full name and date of birth for the person in jail. Let them know which jail. The bail bonds agent will research the booking information. This is the booking number, bond amount, charges, and court date. The bondsman will briefly explain cosigners and gather some basic information. If you are providing a cash bond this talk will not involve co-signers. Your agent will pre-qualify you for a bond. Be aware that final cost is determined by considering co-signers, collateral and down payment. Your co-signers fill out their information and enter into a contract with the bail bondsman. Many of these forms are online or emailed for speedy completion. Your bondsman reviews the application and finalizes a price. You and your co-signers must deposit that amount. The approval should be very fast on most bonds. Payment can usually be made in several forms. Cash can be delivered, credit and debit cards are usually accepted over the phone, bank transfers completed online. Once payment has been made to the bondsman, the bond will be posted with the court. In the case of most California jails, that means as little as 30 minutes, up to several hours if it is a busy holiday weekend. You can expect your bail bondsman to review these terms carefully with you. They assess risk and have the right to surrender you at any time to the court. Their money will not be returned unless you go to a hearing in court and win it back. Everyone, including your family and friends co-signers, has an interest in getting you to court. All are legally bound by the bail contract to get you to court. Bailman Bail Bonds is your one-stop, professional and trustworthy bail bondsman. With 15 years experience and 24/7 support, you can count on fast and efficient support. A courteous and compassionate customer service agent is available to answer questions and walk you through the process of getting a loved one out of jail quickly. Different payment options and fees offer you flexibility. For more information contact us today. For fastest service, call (866) 945-2245 now.